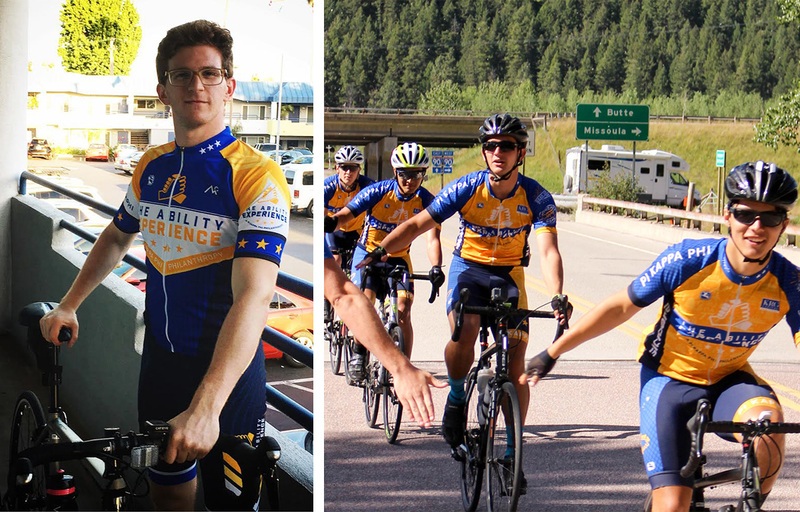 Pi Kappa Phi member and physics sophomore Jacob Sniderman is helping cycle a combined 12,000 miles over 60 days to spread a message of acceptance and understanding for people with disabilities in The Journey of Hope. Sniderman will be joining 99 of his brothers from different chapters throughout the United States. The participants are riding an average of 75 miles per day and volunteering for local disability centers as they arrive at each new city. The brothers will complete their journey August 11 in Washington D.C. The Journey of Hope event is hosted by The Ability Experience, an organization with members of Pi Kappa Phi from across the country. Sniderman is hoping to raise $10,000 through donations from supporters. The Journey of Hope raises around $500,000 dollars annually from this cross country event. Sniderman says he is thrilled to be the first Pi Kappa Phi brother from Cal Poly to participate in the Journey of Hope and is inspired by the opportunity to represent his chapter.